The Medium is the Audience. I'm a hot dog guy. Mustard and relish. Squeezable relish is a really bad idea. Because what you get, squeezed onto your dog, isn't relish. It's pickle juice. Lots of it. If you're going to make something squeezable, that something should be a liquid. No matter how viscous. Actually, the thicker, the better. Too thin, and it becomes pourable. That's another blog. Ketchup is a liquid. Mustard. Caulk. Grape jelly even qualifies. Relish is not. At best, it's a suspension. But really, it's a bunch of small solids, and a lot of pickle juice. When the solids clog (an instantaneous thing), the juice is all you get. 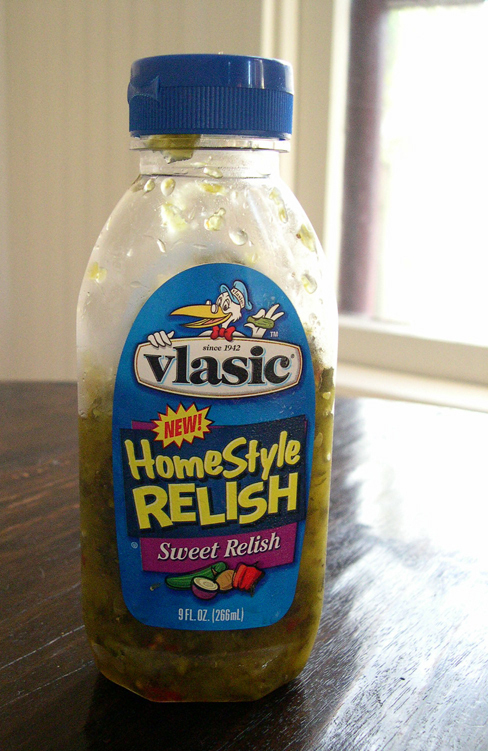 Relish should not come in squeezable bottles. They put relish in squeezable bottles because all the other condiments are there. "It works for them, so it should work for us."